Last sunday afternoon Seattle (and Thailand) based photographer Gavriel Jecan was kind enough to take me for a tour of Pike Place market. 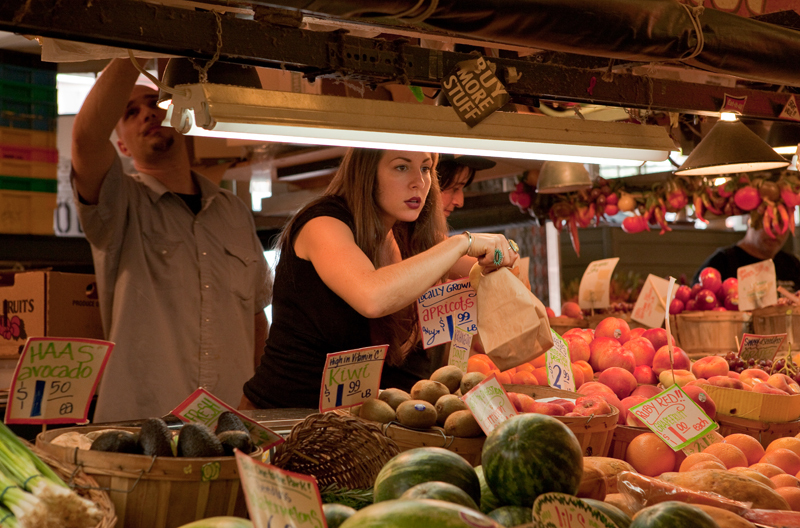 Pike Place market was founded over a century ago – in 1907 – when outraged citizens were fed up with paying price-gouging middlemen too much for their produce. City councilman Thomas Revelle proposed a public market where farmers and consumers could meet directly. 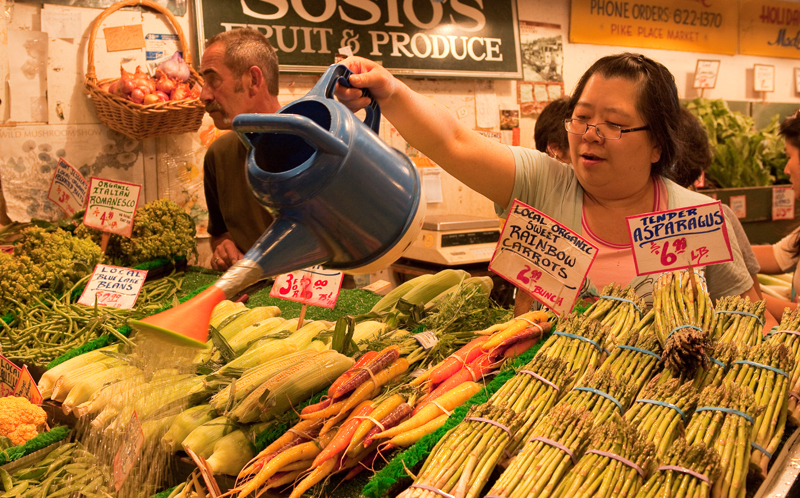 Today Pike Place market is known as America’s premier farmer’s market. 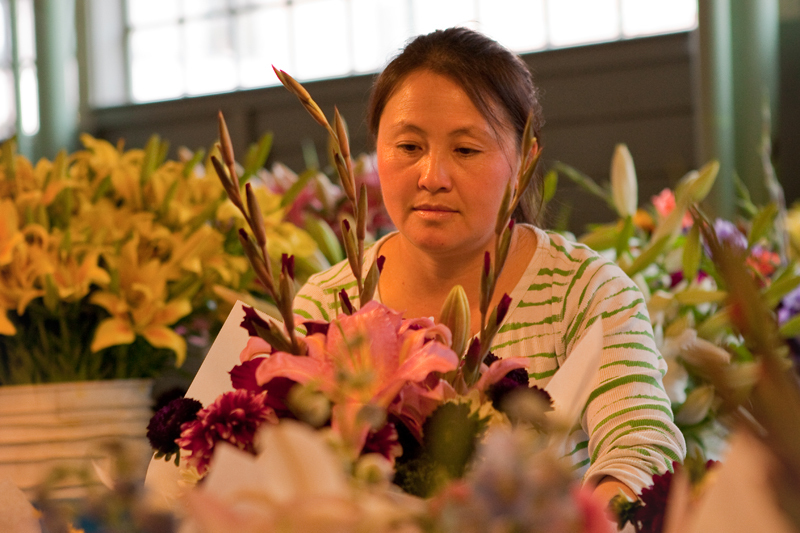 I enjoyed watching the vendors selling and caring for their high quality products. Here are a few of the images I took along our stroll. It’s wonderful to see you including people in your photographs, Beate. 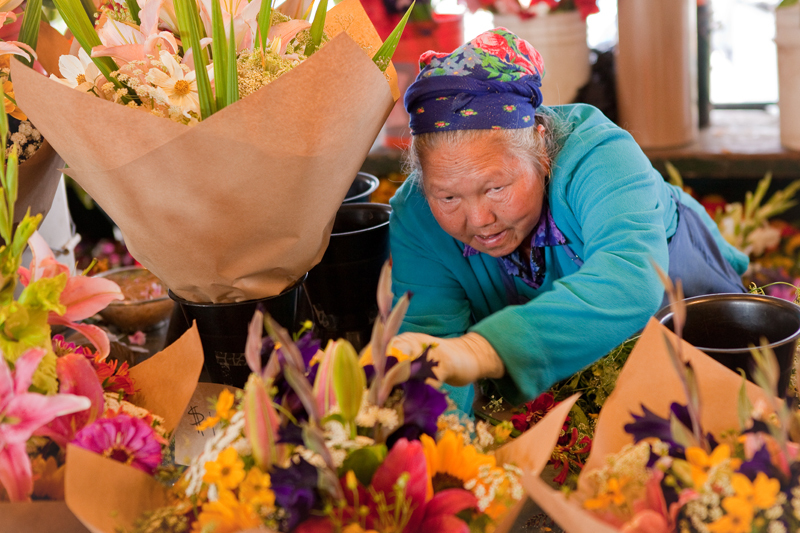 I’ve been to the Pike Place Market and I think you’ve done a great job of reflecting the busyness there. Thanks, Sabrina. I could have spent a lot of time there. It’s a great place to watch people.